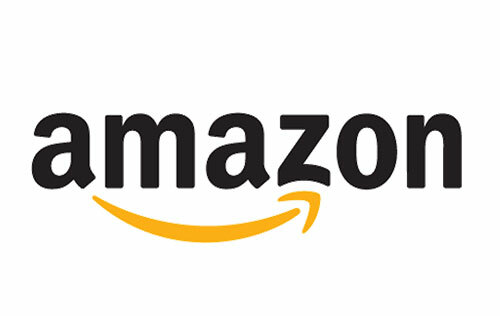 The Same Satisfaction for a fraction of the price. 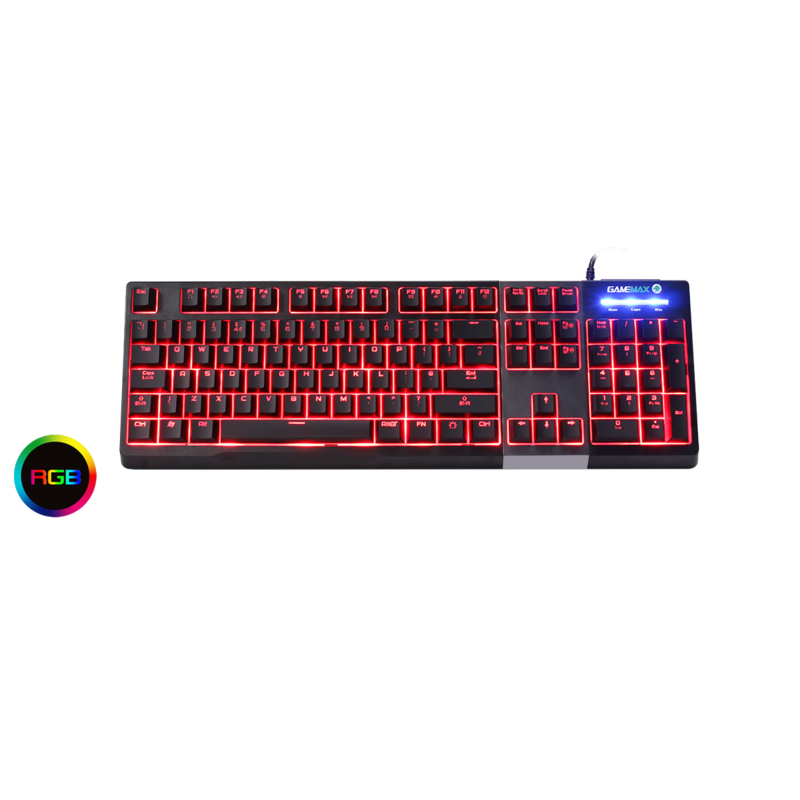 Brand new for 2019 Game Max are proud to introduce the Game Max Click RGB Gaming Keyboard. Made from ABS, the Click has the look and feel of a mechanical keyboard but for half the price, this keyboard is great for first time or even established gamers. It includes a seven colour LED backlight, colours include Red, Green, Blue, Cyan, White, Purple and Yellow, adjust the colour and brightness quickly and efficiently. 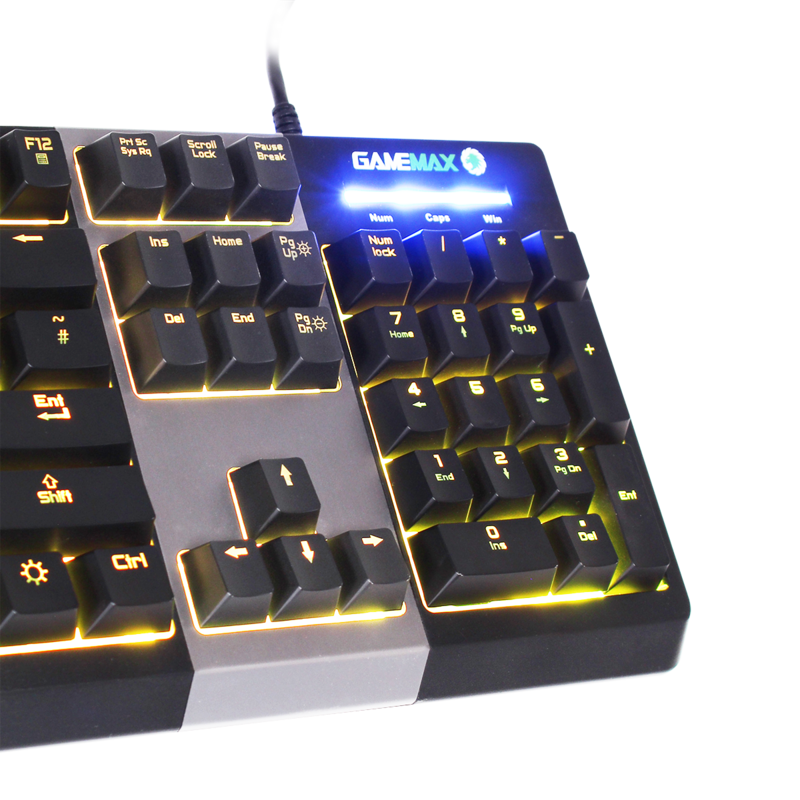 Mechanical Feel – The Game Max Click comes with quick switch and looks and feels like any top end mechanical gaming keyboard. 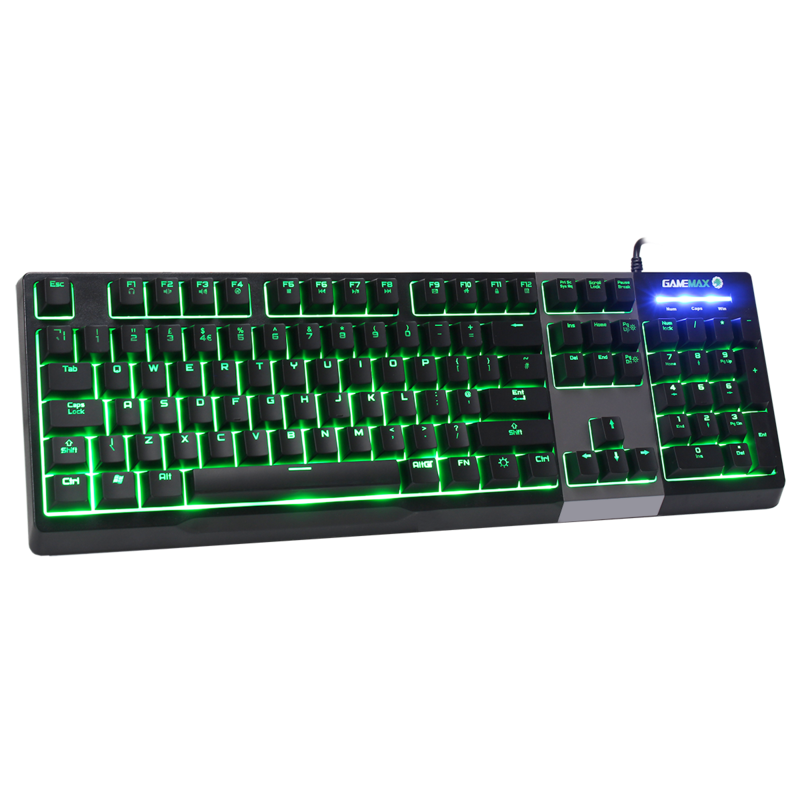 The mechanical feel of the keys make it more comfortable and responsive allowing you to not only use it for gaming but use in the office should you wish. Seven Colour LED Backlight – Easily adjust the colour of your keyboard using a handy key situated next to the FN key, game in the dark and illuminate every key, colours include Red, Green, Blue, Cyan, White, Purple and Yellow. 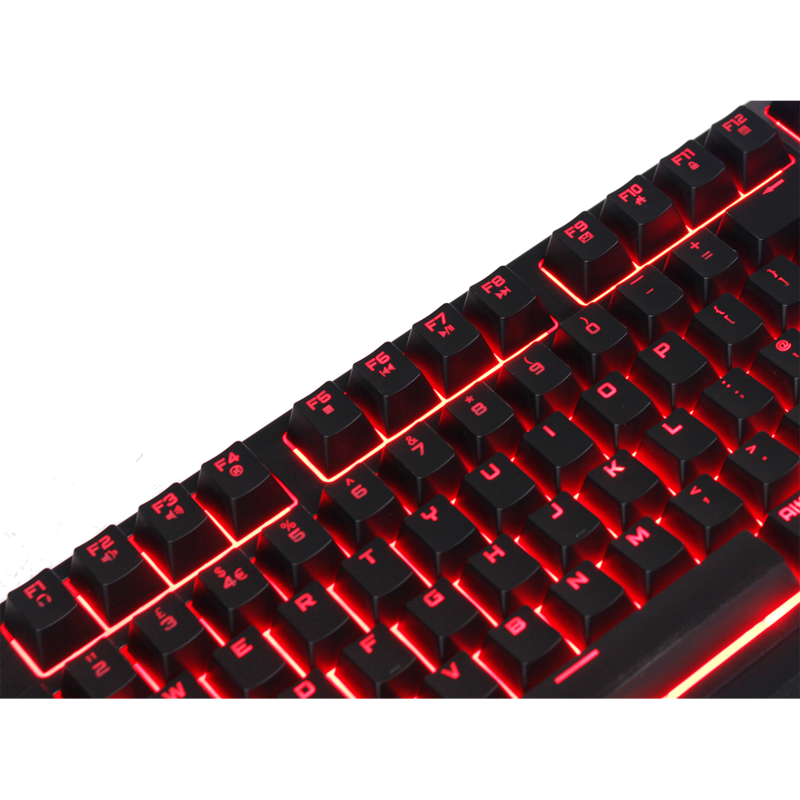 A Keyboard Designed For Gamers – Game in style using the 19 anti-ghosting keys, 12 multimedia functions and lock / unlock Windows key create a professional gaming experience without any stoppages and enjoy a responsive and smooth game. Splash Proof and Well Thought Out Design – On the back of the Click are four drain holes to help prevent water from damaging your keyboard and the easily removable keys make the click easy to clean, allowing you to keep your set up neat and tidy! User Friendly – USB plug and play, no driver required, compatible for Windows Series.